Boundaries are an important factor in making changes to enhance and empower your life. 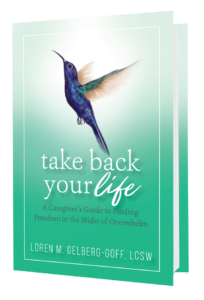 Establishing boundaries for yourself that you can respect and maintain even in the face of challenges from others is an issue that everyone faces… not just caregivers. Every day we have opportunities to bring in positive thoughts and messages about ourselves and our lives; we just have to learn how to be conscious and aware of these opportunities. The difficulty many people have saying “no” has been the subject of numerous books, articles, lectures and issues people bring into therapy. What makes this one word so hard to say without anger, guilt or resentment, and so challenging to stick to? Why do so many people feel so guilty when they say no that they then have to justify, explain or defend their response? When you stop and think about what this one simple word means and all the emotional energy it carries with it, it’s no wonder so many people struggle with this message. Do you feel burdened whenever you think about saying “no” to anyone? 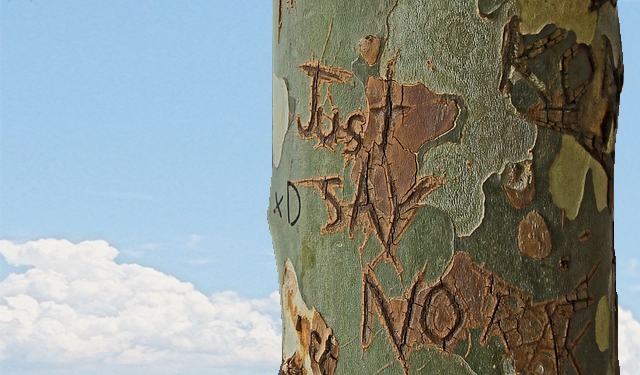 Do these feelings stop you from saying no? Do you feel guilty, or feel that you’ve done something wrong if you finally do say it? Saying “no” means you’re setting a limit. You’re setting a boundary, and stating that your needs and feelings matter. What makes this so difficult for so many people? Were you taught that other people’s needs and feelings had to be considered first? When you were growing up, did you hear that doing for someone else, even if it inconvenienced you, was better than saying “no” and possibly hurting the other person’s feelings? Were you given a message in your life that you were wrong, mean or inconsiderate if you said “no”? Thinking back on that message, how do you feel?— Where in your body does that message of “you’re wrong, mean or inconsiderate” sit?— Where do you tense up?— Just allow yourself to be aware of your feelings and the messages that you learned. Take a deep breath and allow your awareness to give you clarity of your past and the lessons that you learned and have carried forward in your life. When we become aware of our old beliefs and habits, we are then in a position to choose if and how we want to change. Let this message resonate within you for a moment before reading on. This is NOT about selfishness or being inconsiderate; rather, it is about acknowledging that while people have a right to ask for whatever it is they want, you also have a right to decide if giving them what they want works for you. I am asking you to STOP! BREATHE! FOCUS! And ask yourself what will happen to you and your day if you stop and take care of someone else’s needs. Just allow yourself to consciously decide what you need or want to do at that point, rather than automatically just saying “yes“, and then feeling angry, resentful, stressed, or even worse, martyred because you said yes. This is a clear and simple answer. Do your best not to offer an “excuse” because that will trigger your defensiveness, and leave an opening for the other person to “argue” with your excuse causing you only more heartache and stress. Excuses communicate defensiveness; that somehow without a legitimate reason for saying no, you’re not allowed to do so. Who’s to say what’s legitimate for you? Men and women both have difficulty saying no, but for different reasons. Socially, women are taught to be the care-takers, which only further heightens their already innate nurturing styles. Many young women have been told that if they say no, the other person won’t like them or will be mad at them. This message only serves to increase the difficulty of saying no. Another message many caregivers get that stops them from saying “no” and setting clear and respectful boundaries is that the other person will be upset and somehow not be able to cope with the disappointment, or that if she says no, she’ll be seen as incapable or selfish. Men who have a hard time saying no often feel like they have to rescue, be the hero (especially for women), or be “the good guy who always comes through in a pinch.” The bottom line is that all of these messages severely undermine your self-esteem and belief that “who I am is enough” and “my needs and feelings matter, too!” That’s because the minute you start only taking care of someone else’s needs, you stop taking care of your own. Boundaries are about respecting and taking care of your own needs and feelings while balancing other people‘s as well. In many situations, someone will be disappointed, hurt, upset, frustrated or annoyed. However, you just have to realize that it doesn’t always have to be you! 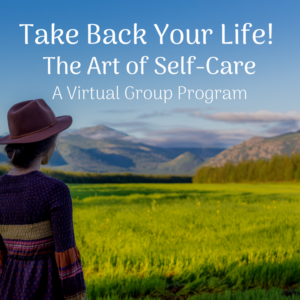 Learning and practicing to say “no,“ to set limits and have respectful boundaries, is about how you feel about yourself, and how you choose to take care of yourself. It is most essential that you’re willing to, first and foremost, communicate to yourself that you matter, and this in turn will help you to communicate to those around you that you are treating yourself with all the respect that you deserve.